about exterior lighting control networks. You get a lighting system custom designed for your specific lighting and energy needs. Many utility companies offer incentives. We handle each step of the rebate process, including energy calculation and application. Masters of their crafts, our installation team will complete your installation quickly and with precision. Own or lease your system with low rates and fast decisions from our in-house finance. We are committed to provide reliable warranties and prompt service. 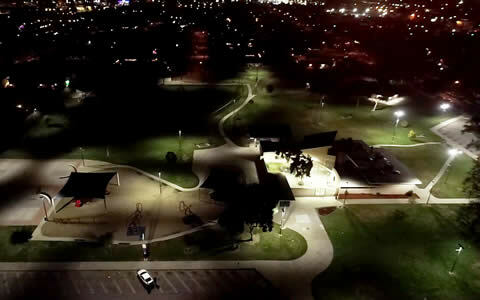 The City of El Monte, located in the San Gabriel Valley, California has been looking to brighten up local parks with LED lighting upgrades and has plans to be a smart city with wireless controls and monitoring. 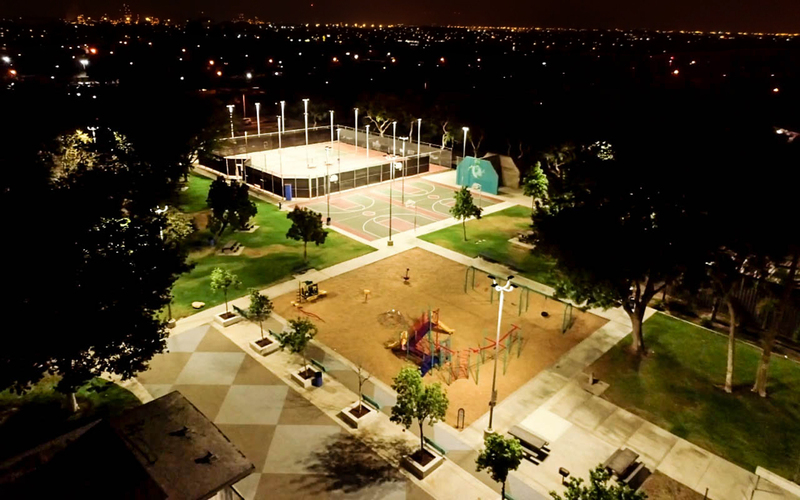 Mountain View Park is the first pilot project from the City of El Monte. 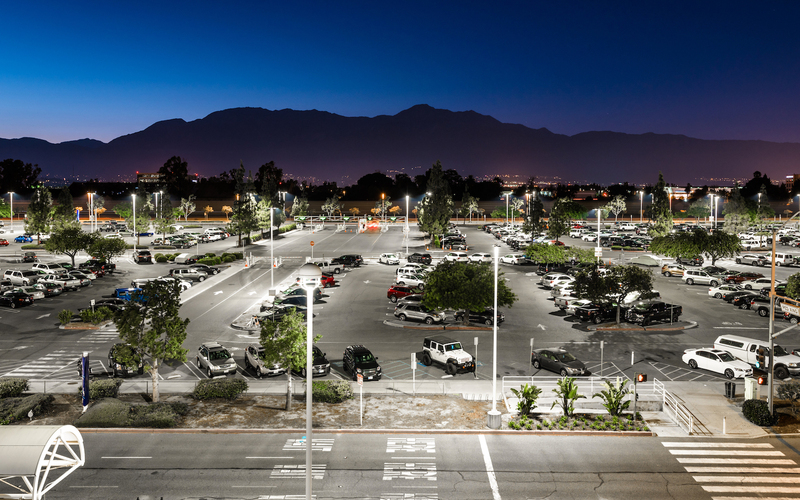 SolarMax LED designed and implemented a smart wireless lighting control and monitoring system for Mountain View Park.